Swedish Tracing Paper The Sewing Workshop Pattern Collection is a distinguished line of patterns for all figure types and sizes. These “patterns that teach” introduce innovative sewing techniques never before offered in standard guide sheets. The styles are for today’s wardrobe needs, whether you work in a corporate environment or manage a car pool. 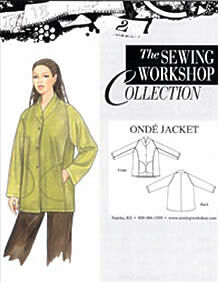 These patterns have brought the fun back into garment sewing. We hope that you enjoy The Sewing Workshop experience. Expanding Minds to Create Unique and Innovative Attitudes towards Clothing!